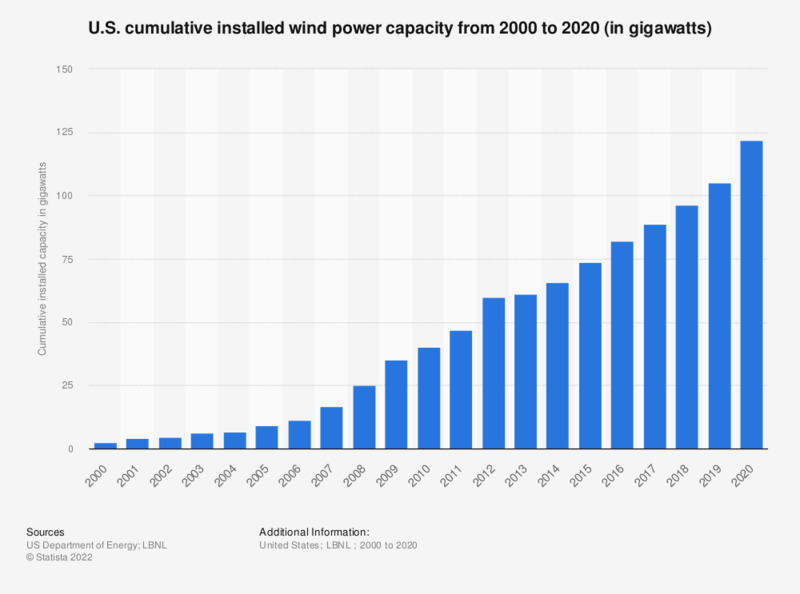 This statistic represents cumulative installed wind power capacity in the United States between 2000 and 2017. In 2017, cumulative installed wind power capacity in the United States increased 8.3 percent to reach around 89 gigawatts. Everything On "Wind power in the United States" in One Document: Edited and Divided into Handy Chapters. Including Detailed References. Statistics on "Wind power in the United States"